Hi, friends. It’s been… well, according to the date of the entry below this one, I haven’t written a new blog post in over a year! Yikes. As you might have guessed, writing and editing books, and doing lots of freelance writing, while also being an almost full-time mom…doesn’t leave a lot of time for blogging. That’s why I’ve decided to convert this page to a News space, instead. If there’s something exciting happening in my world, or if I’ve got something coming up that you should know about, you’ll find a post about it here! For example, I’m performing in a dance concert in a week and a half, for choreographer Diane McCarthy and alongside many wonderful friends from my NYC dance community. 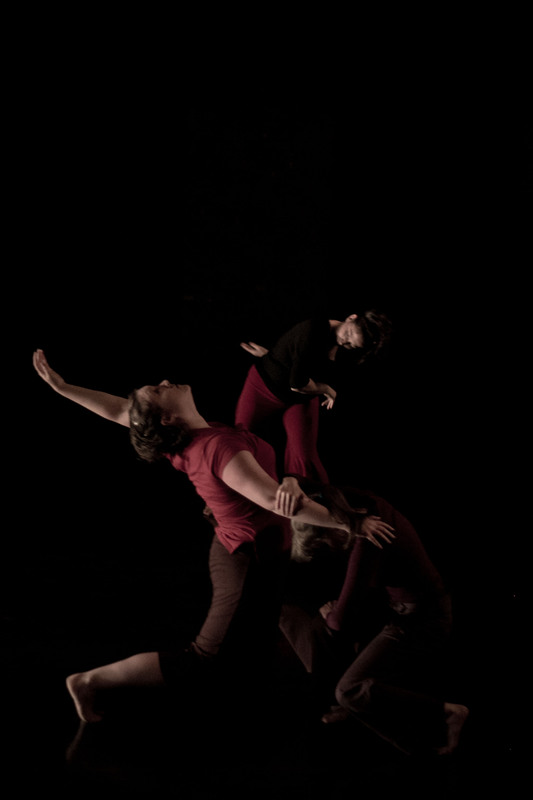 I was asked to join this project back in May, when another dancer had to step out of the cast, and it has been a blast rehearsing (and getting back into performing shape post-baby!). If you’re local to NYC, I’d love to see your smiling face in the audience! The show is November 9, 10, and 11, and tickets are available HERE. In other news…today is Halloween! And although this will definitely be a more professional space going forward, I can’t resist sharing a photo of my adorable baby dressed up as Supergirl. I hope your Halloween is similarly super! So ... I Have News! Perhaps you've been wondering what I've been up to lately. Why I haven't posted much about writing in a while. Why I've seemed unusually busy and flustered and fuzzy-headed and overwhelmed for the past month or so. Why I haven't been answering your emails and texts in a timely fashion. I've been hard at work on … *drum roll* … MY NEXT BOOK!! I sold my second book over the summer, and have been busy finishing and polishing my first draft to turn in to my editor. Which I did, on Wednesday. (Cue the fanfare and confetti and imminent collapse from exhaustion in my messy apartment.) Now that the first draft is in my editor's hands, I've been given permission to shout about the new book deal from the social media rooftops—and that's exactly what I intend to do! Everything's Beautiful is about a 16-year-old ballet dancer, Sam, who struggles with body image issues. After suffering a severe panic attack before her studio's spring concert, Sam is sent to an anxiety camp for elite teen artists and athletes to work through her issues with professional counseling and peer support. She initially resists treatment—in part because the camp conflicts with the summer ballet intensive she's supposed to be attending. Then she hits it off with Andrew, a former college football player who is one of her camp counselors. But is the connection between the two of them just about therapy, or could it lead to something more? And if Sam can't come to terms with the pain and anxiety she's been feeling, is her dance career over before it even begins? I'm thrilled to have Alexandra Cooper as my editor once again! Alex helped make The Distance Between Lost and Found into a finished product I am so, so proud of, and I know she'll do the same with Everything's Beautiful. 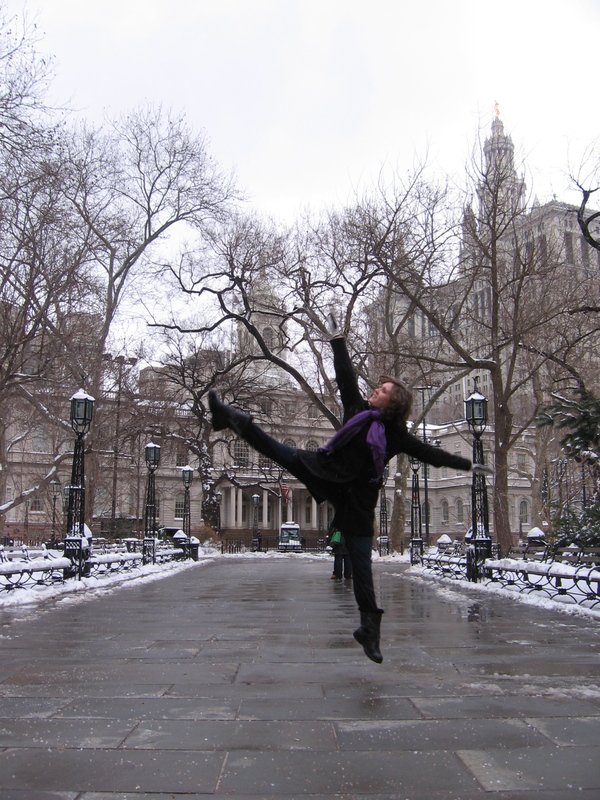 And of course I have to give a shout-out to my agent, Alyssa Henkin, who believed in this project from the first time I mentioned writing a book about a ballet dancer who didn't have the ideal body, and who encouraged me to discover the story I needed to tell. I started this blog! I'd been wanting to blog for years, and hadn't gotten around to it. Now, with almost a full year of blogging under my belt, I'm so glad I took the plunge. My newest nephew was born! He's almost a year old now, and he is a delight. You can see some pictures of him HERE and HERE. Selling my debut novel to HarperCollins! And I thought signing with an agent felt good. 2015, when my book is slated to be released, can't get here soon enough. I attended my first writer's conference, SCBWI LA! It was fabulous to meet more kidlit writers, as well as to hear some true legends in our field speak. Also, my husband and I took a fun vacation in California when the conference was done. I revised my book. And revised it. And revised it again. That might sound frustrating, and at times it was! But my editor pushed me to make the book the best it can be, and it has become something I'm so proud to send out into the world. I had a dance performance that was fun and challenging and really well received by our audience—all you can ask for, really! I joined the Fearless Fifteeners and the YA Buccaneers! My most popular post ever is, to the surprise of probably no one, the post in which I announced my book deal (see link above)! My second most popular post, to my great surprise, is… *drumroll* THIS ONE: my thoughts on Lauren Oliver's Delirium series. This is the Energizer Bunny of blog posts! Just in the past week, it surpassed my agent announcement post, my "About Me" page, and a few other key pages in number of views. So, Lauren Oliver fans who keep finding their way to me: Welcome! Look around. Stay awhile. I reviewed about 50 books on the blog this year, and you can scroll through those posts using the Friday Reads tag. You can see my top 10 out of all of the books I read this year HERE. I'm going to continue reviewing books on the blog in 2014, though I probably won't be as formal with my Friday Reads posts… so keep an eye out! I have 83 blog followers—not too shabby for my first year! I'm happy so many of you are interested in what I have to say. So I guess all that's left to say is, thanks for a great 2013, and here's hoping that 2014 brings even more good times and good news! Happy New Year, everyone!! I spent the past five months or so rehearsing for a set of dance performances that happened this past weekend, so this week I'm dealing with a vague sense of post-performance letdown. Don't get me wrong: the shows were GREAT. I had a blast dancing with this cast, and we rocked out onstage. The audience loved it. I couldn't have asked for things to go better. But still, it's hard to transition from rehearsing several times a week, every week, to...not. It's one of the hazards of dancing project by project, rather than working full-time with a specific company: you often finish a show with no idea when your next performance will happen. Or even if there will be a next performance. 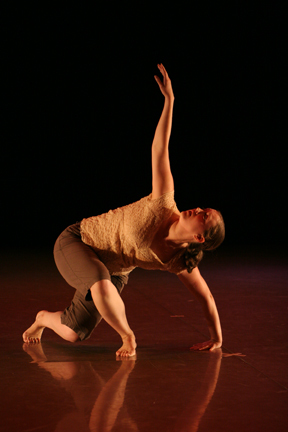 My friend and choreographer Becky Radway (learn more about her work HERE!) has applied to be part of a dance festival in summer 2014, but we won't know for a few months whether she got in. We'll probably also have a one-night-only short performance in April. But until then, it's back to class. And that's where the other bit of dance-related upheaval that happened in October comes in: Dance New Amsterdam, which was my dance home in NYC for the past eight or so years, had to close its doors for good on October 13. It was the end of a long, drawn-out battle with the landlord over back rent and other issues, and frankly, it was probably time to let go and move on. But most of the final classes—and many of the celebrations honoring DNA and its teachers—happened when I wasn't able to be there (due to rehearsals for this past weekend's show, as well as being out of town and otherwise unavailable) and so I didn't get to say the goodbye I would've wanted. Luckily, my teachers have transitioned pretty seamlessly into teaching at other NYC studios, and so their classes live on. Now that I'm done rehearsing and my schedule has opened back up, I'll be able to figure out how to shape each week around my favorite dance classes in their new homes at their new times, just like I used to shape my week around the classes I took regularly at DNA. I've already started going to one class in its new location—Laurie De Vito at Mark Morris Dance Center—and it's been fun to see the mix of longtime attendees and new faces, and to feel the energy that comes from being in a different space. 2013 has been full of changes, not the least of which being my book deal and the beginning of what I hope will be a career as an author. I've been busier than ever juggling freelance work, book revisions, dance classes and rehearsals, and other commitments. But one thing won't ever change: I always want those dance classes (and rehearsals!) to be there. Dance isn't just the activity that gives me a break from sitting in front of my computer all day. It's not just about exercise. It's also the other way I express myself, aside from words. It's emotional release. It's an intellectual challenge as well as a physical challenge. It's been a part of my life since I was three, and I want it to continue to be a part of my life as long as possible. So whether that's onstage or not, at the studio I loved and am still sad to have lost or somewhere new and exciting and fresh, I'll be there. And now... I'm off to dance class! 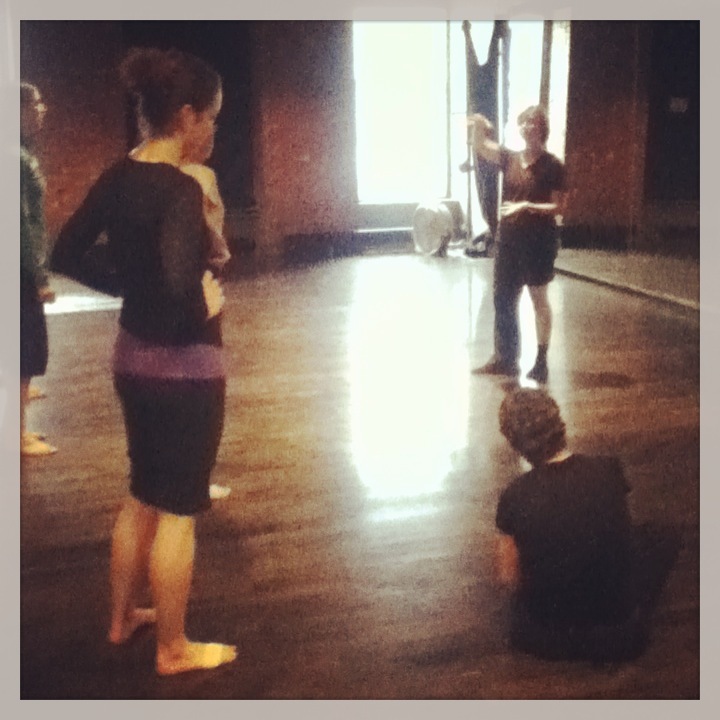 Yesterday, I went to my first rehearsal for a new dance project! My super-talented friend Becky Radway is putting on a show in October, and I'm thrilled to be a part of it. I went to college with Becky, and have performed with her in NYC several times. For every show, she creates work that is new and different from her previous pieces, without losing sight of her signature movement style. I really enjoy working with her and am really excited to see what this show will become. More updates as we get further into the rehearsal process! Regardless of whose choreography I'm dancing, I love being in rehearsal. Even though I work hard in class to improve my technique and expand my artistry, it's the rehearsal setting (and then, later, performance) where all of that gets put into practice. A lot of the choreographers I work with—Becky included—get input and inspiration from their dancers. Yesterday, Becky gave us a series of prompts and asked us to come up with a movement phrase that traveled across the floor, based on whatever those prompts brought up in our minds and bodies. As we go on to refine those movement phrases—and believe me, like any first draft, the phrase I made yesterday needs refinement!—Becky will shape what each of us created into a cohesive part of the overall piece. I love working like this, being given an idea or a challenge and coming up with movement that meets the criteria while showing my voice and my style. It appeals to my writer/problem-solving side. It reminds me of doing writing prompts as a way to jump-start a fiction-writing session. Sometimes you come up with something truly fabulous on the first try. Those are the best days. But other times, all you can glean from the whole mess you made up are a few small, choice movements (or sentences, as the case may be). As I write this post, I'm still going over the movement phrase I made up, thinking about what moments I like and want to keep and what probably needs to be discarded. I can't wait to get back in the studio and make it even better. In other dance news, my summer favorite So You Think You Can Dance starts tonight! I unabashedly love this show. Plus, I've been lucky enough to interview and write about the winners of the past two seasons for Dance Spirit magazine. (Read about Season 8 winner Melanie Moore HERE and Season 9 winners Eliana Girard and Chehon Wespi-Tschopp HERE and HERE!) I can't wait to see what this season brings, and what future dance stars we'll meet for the first time. 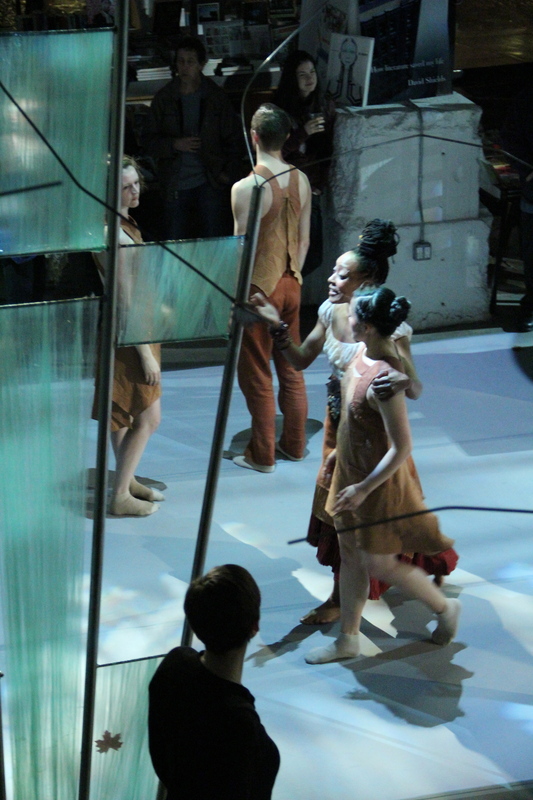 I'll end this dance-centric post with a video from another awesome dance show, Bunheads. Per the title of this post: It's Time to Dance! So, I've started working on a new book idea! I have my characters sketched out and I have my rough outline/synopsis. I'm working on finding the voice and the style that make this story unique. I've been playing with this new book on and off between making edits to my agented book, THE CREATION OF HALLELUJAH CALHOUN. Now, I'm officially trying to crank out a first draft. And I have to admit, I forgot how hard first-drafting is. It's not just the nuts and bolts of figuring out the plot and the characters. It's not just getting words down on the page (or screen, in my case). It's emotionally hard, transitioning from making upper-level nitpicky edits to HALLELUJAH, which I am so proud of and feel so good about, to being back in the uncertainty of a first draft. Can I possibly create something that I love as much as HALLELUJAH? Is it okay that it's different—different voice, different themes? And can I do this new topic justice? Did I only have one good book in me, after all? After talking to some writer friends, I've confirmed that yes, pretty much everyone feels like this when starting something brand new. This mix of excitement over a shiny new idea and anxiety about not being able to pull it off. So I've been telling myself, over and over, that the only way out is through. I won't know if this new book is any good until I write a cruddy first draft and dig into revisions. I can't revise a blank page. What's this new book about? My main character is a ballet student with the wrong body type. When she doesn't get a part she wanted in her studio's summer production—in fact, she gets what is, in her eyes, the worst role in the show—it sends her into an emotional tailspin. She's only ever wanted to be a ballet dancer, and her curvy body is standing in her way. (Well, her body and her overbearing mom...) When she ends up having to dance with a clumsy football player who signed up for ballet class because his coach said it might improve his scholarship potential, it's like adding insult to injury. But what if the two of them are actually perfect partners? I've been a dancer since I was three. I put it that way (rather than just saying "I started dancing at three") because I knew almost immediately that dance was going to be a big part of my life. I was hooked pretty much from the first lace-up of tap shoes, the first sequin-covered tutu, the first squint out into a full house through stage lights. I studied it all growing up: ballet, tap, jazz, and modern. (Okay, not quite "it all." No hip hop or ballroom. Only so many hours in a busy kid's week.) I was in a regional ballet company in high school. 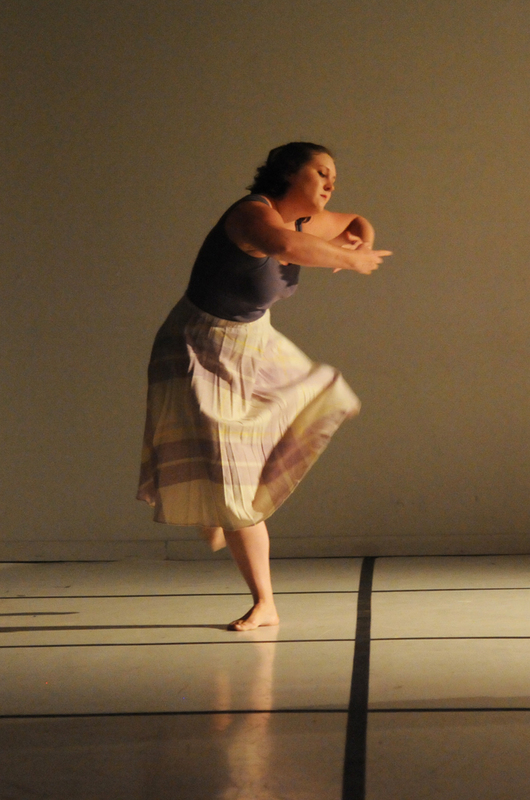 In college, I shifted my focus to modern/contemporary dance, and I haven't looked back since. When I first moved to New York, grown-up rent-paying desk job acquired, I thought dance would probably be downgraded to a hobby. I wouldn't give up taking classes, but I wasn't going to make a career out of it either. What I didn't realize is that in NYC, there are SO MANY opportunities to perform, if you're willing to look for them and put in some time networking. I've been lucky to perform with friends from college who now choreograph, with teachers whose dance classes I take on a weekly basis, and with dancers I've met through various shows. It's all on a pickup, project-by-project basis—I don't dance full time with one company or choreographer—but that's actually how I like it. It gives me stretches of time where I'm rehearsing and really focused on dance, and then stretches of time where I can focus on writing. Of course, I don't just jump onstage after not dancing for months. 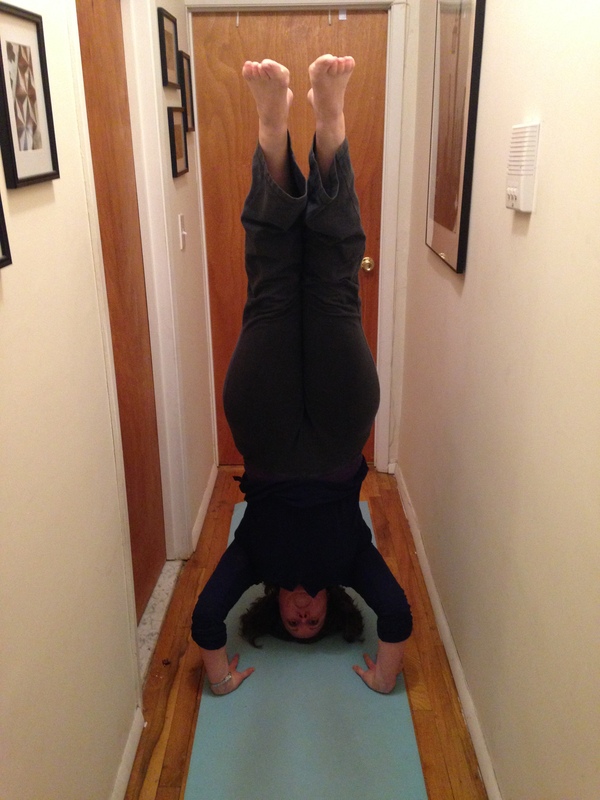 I take three or four dance classes a week, as well as a yoga class or two. I have teachers whose classes I love because they're so comfortable they're like home, and teachers whose classes I enjoy because the movement style challenges me to get outside of that comfort zone. I tend to dance in the afternoons, and it's become the perfect way for me to break up all the sitting and writing. I'm able to find new energy while also giving my writing brain a break. There are never enough hours in the week to dance as much as I'd like to, write as much as I want to, earn money, and spend time with the people I want to spend time with, but I do my best. 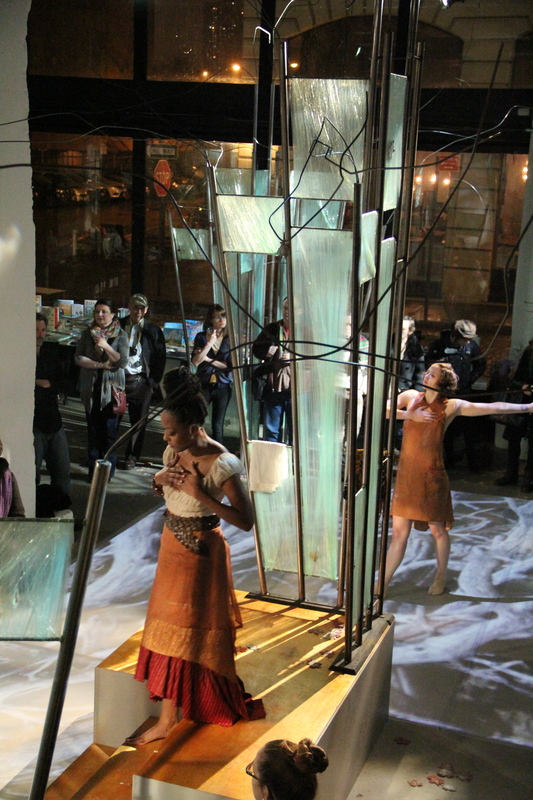 Here's one more photo, from a performance I did this past October. The piece was choreographed by my friend Stéphanie Landouer, and it was lovely to dance—and the opportunity came along exactly when I needed my stage fix, after a few months off. I don't have any shows slated for 2013 yet...but as with everything else this year, my plan is to work hard, be patient, and see what opportunities arise! (Sound familiar?) In the meantime, I'll still be dancing.